A spa-quality massage is right at your fingertips with Zeel Massage On-Demand. Book today to get the best massage in Placentia. A massage therapist will come to your Placentia home, hotel, or office in as little as an hour, or schedule in advance. Relax and recuperate with a spa-quality massage in the comfort of your Placentia home. There are over 9,000 massage therapists in the Zeel network nationwide. Here are a few that are available for in-home massages in Placentia. 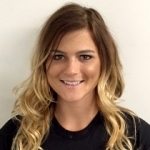 Certified massage therapist Cheyenne is devoted to health and wellness through therapeutic massage. She has practiced in wellness centers and clinical settings, working in tandem with chiropractors to help clients meet their individual health goals. Cheyenne is well-versed in many massage modalities, including Swedish, deep tissue, sports massage, lymphatic drainage, shiatsu, and more. She provides a unique, relaxing session to all her clients. Byron is a highly professional certified massage therapist who has worked at the Ritz Carlton Spa in Marina Del Rey. Byron has the necessary training and experience to tailor each of his clients' massages to their individual needs. A former professional athlete, Byron intimately understands the benefits massage can bring to muscle recovery and performance. 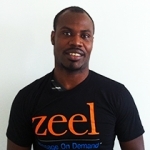 Getting a massage in Placentia, CA is easier than ever, thanks to Zeel. A peaceful bedroom community, residents and visitors alike love Placentia for its warm and temperate Mediterranean climate. In fact, the name Placentia is taken from the Latin word for “pleasant.” While you’re soaking up the sun and sights in Placentia, be sure to take some time to relax and unwind. The best way to treat yourself is with the best massage Placentia has to offer, courtesy of Zeel Massage On-Demand. Zeel Massage On Demand offers the finest deep tissue massages, prenatal massages, Swedish massages, and sports massages in Placentia, in the comfort, convenience, and privacy of your own space. In under an hour, you could be enjoying your very own Placentia massage delivered by a trained, vetted, and licensed Zeel professional. Zeel mobile massages are available 7 days a week and make a great addition to your next event, party, or convention. Book the best massage in Placentia at Zeel.com or with the convenient Zeel mobile app for Android and iPhone, today! Zeel provides Swedish massage, deep tissue massage, prenatal massage, sports massage, couples massage, and chair massage in Placentia.